I knew early on that I wanted to take my place among the stars. One day, my mother saw me reading The Washington Post at a very young age. Who would have known that it would be the building blocks of my journey? Since that day, I dedicated my life to learn all that is learnable. I read everything from encyclopedias, to books, to dictionaries, to magazines. I’m also an avid consumer of television, with my favorite genre being game shows. If you’ve seen me on Who Wants to be a Millionaire or Wheel of Fortune, then you know that this interest has served me well! My unique style of reporting began back in junior high school, when I started to chronicle the events that shaped my life. Whether it was the annual family vacation or the local science fiction convention, I shot numerous pictures and recorded my thoughts so I could truly appreciate the history. During my senior year at Friendly High, I wrote what was to be my first masterpiece, “Advanced Space Academy – A One Week Journey.” I sent the eleven-page article back to the U.S. Space Camp staff. The article was highly praised for being “one of the best written articles in the history of U.S. Space Camp.” From then on, I knew what I wanted to do for rest of my life — to be a reporter. Since then, I have trained in Broadcast Journalism at Bowie State University (2008) in Bowie, MD earning a B.S. in Communications. I gained experience in news production and editing through field experiences with Bowie Community Media Corporation, Prince George’s Community Television, and Bowie State University Television. I also wrote scripts for a variety of quiz shows for over five years. As a lifelong movie buff, I now see close to 100 films every year. I took this love of movies to the next step when I became a co-host for Eclipse Magazine TV in the fall of 2005. While at EMTV, I interviewed celebrities, worked red carpets, and attended a wide variety of movie screenings. In January 2009, I took a leap of faith and started my own entertainment news magazine, The Rogers Revue. Shortly afterward, my life-long journey of studying the silver screen and writing about what I learned finally earned me a place in the Washington Area Film Critics Association. All of this has led me here, giving you the latest entertainment news for the DMV and the entire nation, and I am truly excited for whatever will come next. 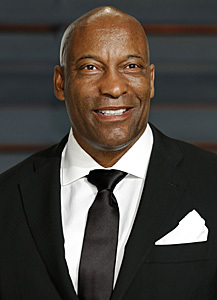 FX Networks has ordered the drama pilot Snowfall from award-winning filmmaker John Singleton, it was announced today by Nick Grad and Eric Schrier, Presidents of Original Programming, FX Networks and FX Productions. Singleton will direct the pilot based on a script he co-wrote with Eric Amadio. Production will begin this summer. Dave Andron (Justified) will serve as an Executive Producer. 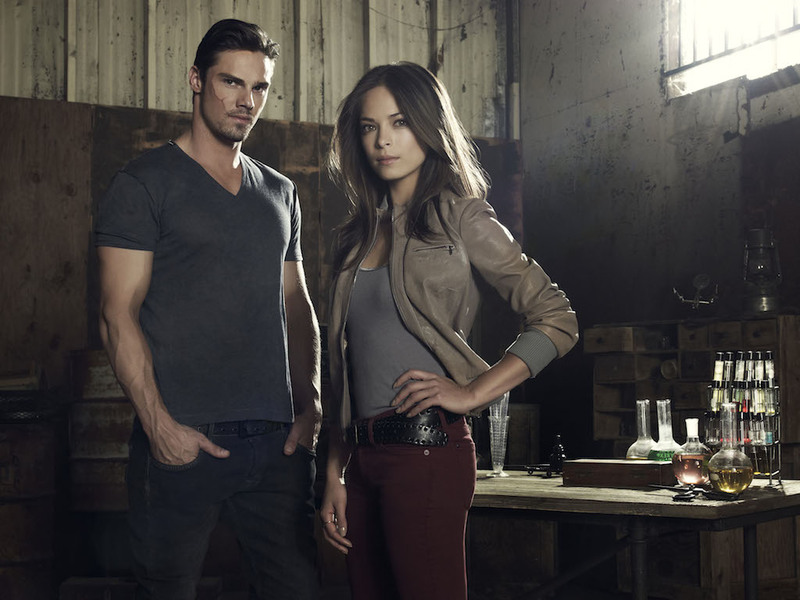 The CW Network has moved the premiere date for season 3 of BEAUTY AND THE BEAST to Thursday, June 11 (8:00-9:00pm). Originally, the new season was slated to premiere on May 21. Golden Globe Award winner Angela Bassett is the latest American Horror Story veteran to return for AHS: Hotel, the fifth installment of Ryan Murphy’s horror anthology series. Bassett joins fellow AHS alum Sarah Paulson, Kathy Bates, Evan Peters, Wes Bentley, Chloë Sevigny and Matt Bomer in the cast of Hotel, along with Lady Gaga and Cheyenne Jackson. Tickets go on sale May 2 at 10 a.m.
See all of your favorite WWE Superstars such as John Cena, Seth Rollins, Roman Reigns, Daniel Bryan and more. Doors will open at 6:30 p.m.
Join Moment Magazine and the Religious Freedom Center of the Newseum Institute for a celebration of the golden anniversary of the Voting Rights Act of 1965. Moderated by journalist Steven V. Roberts, the event will feature Former Congressman Barney Frank, Congresswoman Eleanor Holmes Norton, and Julian Bond, as well as include a live photo exhibition of some of the period’s iconic photographs and live music from the Selma march era. Woolly Mammoth Theatre Company announces its climactic production of Season 35, the world premiere of Zombie: The American by Woolly’s playwright-in-residence Robert O’Hara, directed by Woolly Mammoth Artistic Director Howard Shalwitz. Zombie: The American will run from May 25 to June 21, 2015. ODESSA releases her anticipated self-titled full-length debut, ODESSA [Chop Shop/Republic Records] today. This past Thursday, she teamed up with Billboard for an exclusive first listen stream of the album in its entirety. Make sure to experience all eleven tracks HERE.